In today’s constantly progressive society, women now have plenty of opportunities to become successful entrepreneurs just like their male counterparts. The realms of business, commerce, and finance are no longer exclusive to men since women have proven themselves to be confident and capable individuals who are able to hold positions of power. Beyoncé certainly didn’t lie when one of her iconic songs stated that girls run this world. And similar to the way that successful businessmen have to project a certain image to telegraph their success to others, so too do female entrepreneurs have to carefully curate their persona to ensure that they are the picture-perfect representation of their crowning achievements. This might sound like a monumental task, but if there’s one thing that women are good at, it’s the fact that they can juggle lots of things while looking effortless. Furthermore, women have the added advantage of having a little bit more creative freedom to style themselves for the workplace than men. So if you’re an ambitious working woman looking to conquer your chosen professional field, then you’re in luck! This guide will show you exactly how to achieve the image of a polished businesswoman and what essential work items you need in order to guarantee that you will look and embody that image. 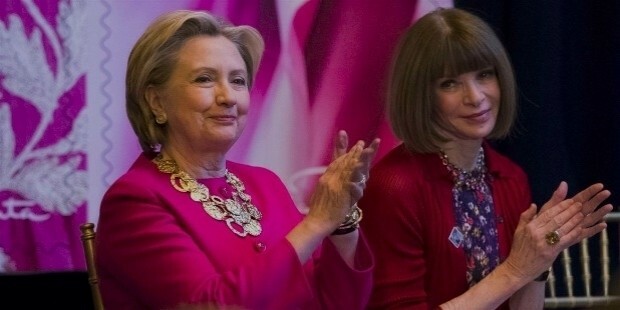 There are two ways you can channel the image of a powerful and confident working woman: either you can go the Hillary Clinton route, or perhaps go for the Anna Wintour option. Those famous names are fashion shorthand for wearing two different styles of suits for women—pantsuits a la Hillary or skirt suits a la Anna. Whichever style you prefer to wear on a daily basis, make sure that you get your suits tailored to fit your body size. Pantsuits are great for when you want to take a page out of the traditional look of menswear while still maintaining your femininity. This choice works well for those crucial moments when you need greater range of mobility, especially if you tend to travel a lot for work. Skirt suits, on the other hand, are perfect for everyday office wear and is a total no-brainer if you’re working in a place that has a conservative dress code for their employees. Outside of conservative but stylish-looking suit ensembles, women are allowed in most offices to wear dresses that don’t break any dress codes, whether they may be very strict or casual. As a general rule of thumb, you should get dresses whose hemline should graze on or below your knees. Anything too long might hinder your movement, and anything too short would obviously be considered as vulgar and inappropriate for office wear. Dresses with sleeves are strongly encouraged, though sleeveless dresses are acceptable for as long as you wear a suitable cover over the garment such as a jacket or a cardigan. And you definitely can’t go wrong with getting a little black dress (or two!) as one of your go-to rotation pieces in your work uniform because it gives you so much mileage. Little black dresses can instantly go from day to night with just a few styling changes on your part. While women certainly look amazing when they complete their work outfits with high heels, sometimes this spells out discomfort for most wearers who are not used to wearing shoes that force their feet in an uncomfortable position for most of the day. If you are required to wear heels at work but can’t stand the feeling of having to tiptoe in stiletto heels, then your best bet is to get shoes that are either high but have a chunky heel or have kitten heels. Chunky high heels are ideal because they give you the benefit of height, but without the danger of snapping under your weight if you have to dash around the office due to their thickness. Kitten heels, on the other hand, are a fabulous alternative option because they’re short enough to not cause your feet any pressure problems, but still considered office-appropriate due to their relatively demure yet formal appearance. Wearing jewelry in the workplace can be a tricky thing to navigate considering that no two offices share the same dress code. But a good rule of thumb to follow if you’re unsure about how to approach accessories is to keep things simple and classy, so look for elegantly discreet pieces to spruce up your outfits. Conservative jewelry works well in any setting because you’ll never be in danger of going overboard with your choice of accessories. Admittedly, such jewelry pieces can be very pricey so you must treat them as valuable investments. 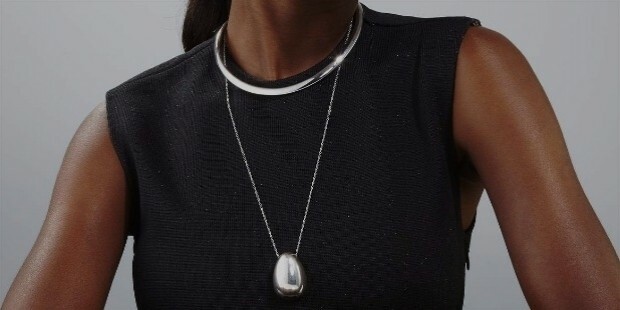 Buying luxe yet tasteful items in gold or silver is a common option most busiinesswomen tend to go for when adding statements to their working ensembles. Another acceptable alternative when sporting jewelry in the office is to employ the use of authentic pearls, which can be flaunted on rings, bracelets, necklaces, or earrings. Perhaps the best work-related weapon in your arsenal is to wield a bottle of perfume, which will complete your aura of a successful, powerful, and confident businesswoman. Never underestimate the power of scent as a way to subtly express your level of success because one of the most lasting impressions people can have on anyone is how an individual smells. And if you smell good, then you’ll clearly feel that positive confidence within you, as well. However, you must remember to be very selective and discerning about your personal perfume because most offices—especially those with corporate settings—tend to frown upon employees wearing perfume at work. That being said, you should choose scents that aren’t too strong but leaves a subtle aroma on your body even hours after application. And if you found your perfect perfume, remember to only use it sparingly to be on the safe side. Handbags are to women what briefcases are to men, so you have to make your selection count since outside of your jewelry pieces, a handbag is essentially another status symbol that visually informs people that you’re a woman who has reached an impressive of professional career heights. And if you have to splurge on a handbag for everyday work use, then you might as well get one that is sturdy enough to justify its relatively steep expense. Aside from the element of durability, the other aspect you have to consider when finding your work bag is its functionality. You must get a handbag that’s big enough to hold your personal essentials as well as other work items such as your business cards or printed documents like contracts. Best of all, you have greater room to play around when deciding the color or texture of your handbag since it’s also about fashion and not just function. Successful businesswomen on the go need the latest mobile tools to help them facilitate their work responsibilities. From smartphones and smart watches to tablets and laptops, you have a broad selection of gadgets to choose from that will allow you to do your job effciently. But the thing with buying tech tools for work is that there’s a tendency for you to be overwhelmed with the amount of options that are available to you on the market. Making a decision can be tough, so you must be smart about researching your choices before you do your final purchases. The key thing to remember here is to not be dazzled by the popular name brands, but rather basing your decision based on the product specifications that relates to your work needs. Second opinions from your friends, colleagues, and family members are also important in informing your final decision.